Whitewall tires are an iconic piece of American automotive history. We all remember those classic huge three-inch wide whitewalls, sometimes even wider, back in the day! 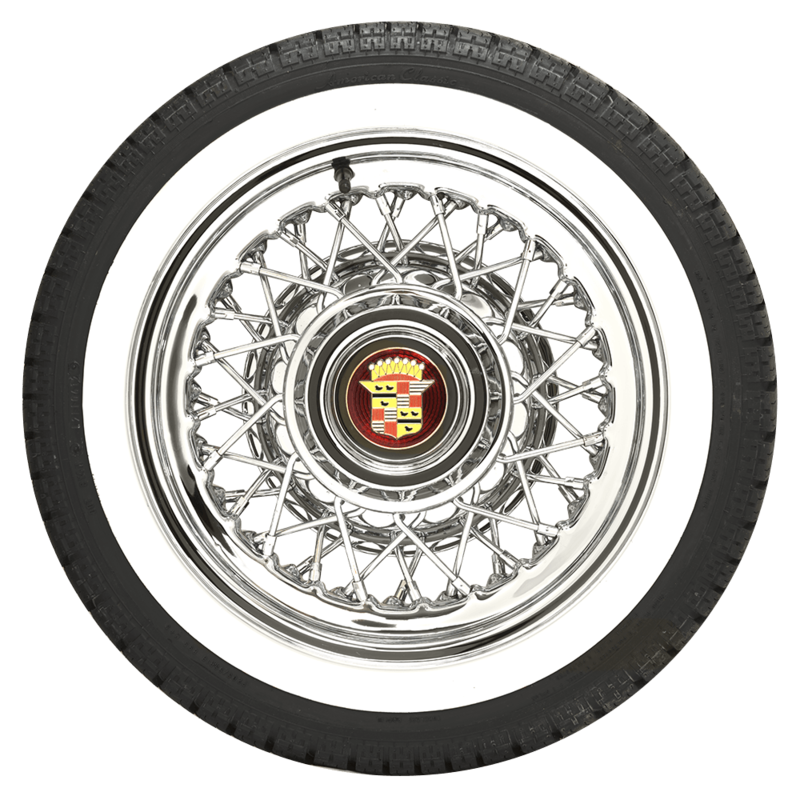 Since then, tires with a wide whitewall have been popular for classic car restorations as well as hot rod and custom builds. Coker Tire Company offers these American Classic radial Low Profile Whitewall tires with a selection of sizes and whitewall widths for more modern fitments! With sizes to fit 15-, 16- and 17-inch wheels, these tires offer the right look for your classic car, thanks to the white sidewall and stylish tread pattern. 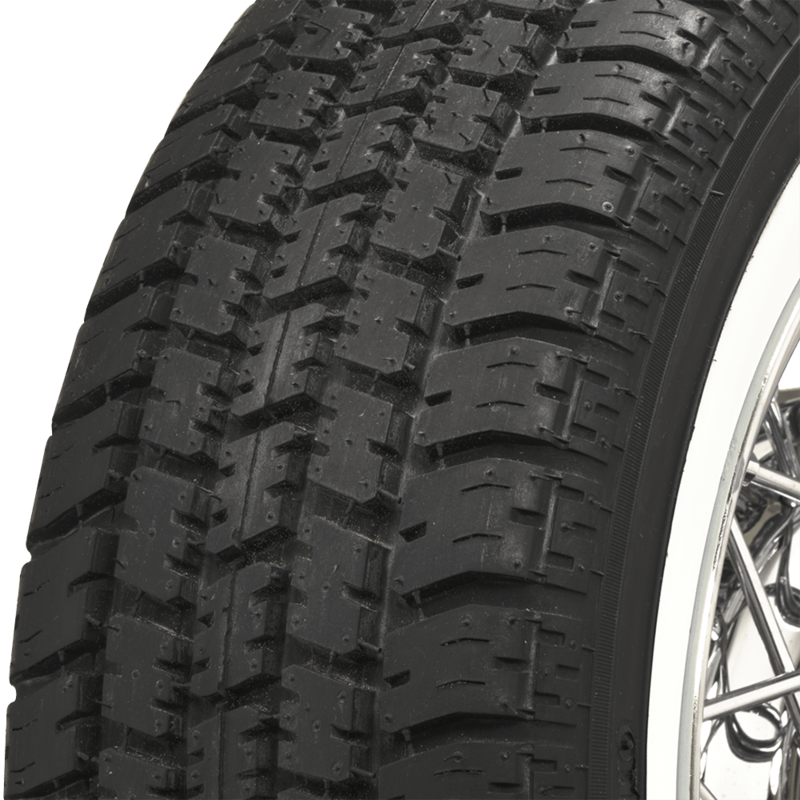 The whitewall is built into the mold from the beginning, so it is a true whitewall tire that will stand uo to the test of time. 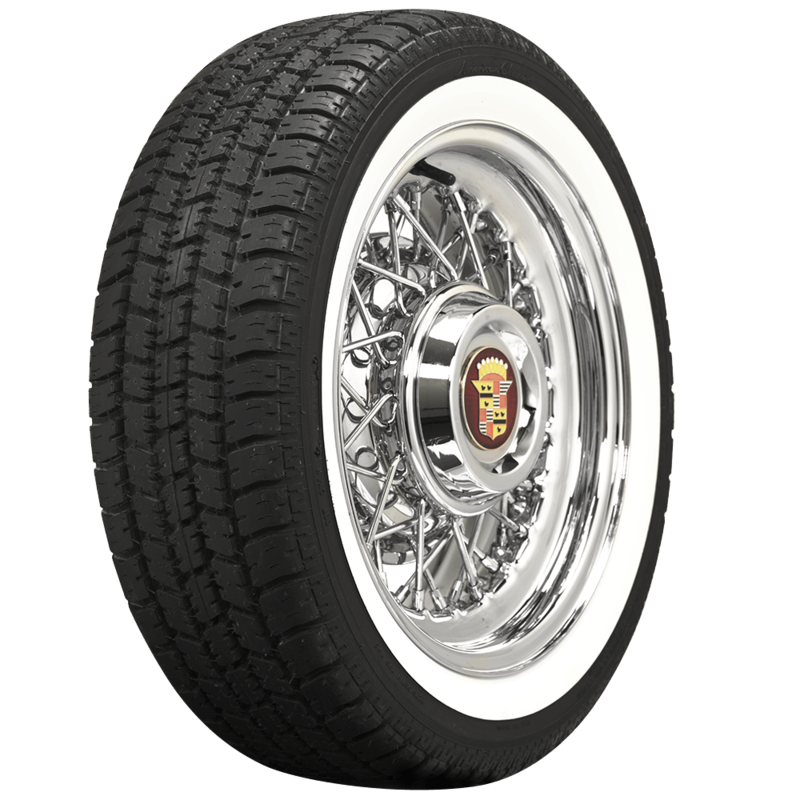 These modern fitment American Classic whitewall tires for sale are available online and are made in the USA. They are DOT and ECE (European Community) approved and covered by Coker Tire Company's Life of the Tread warranty. Please note that dimensions listed (tread width, section width and overall diameter) are non-scientific and based on an inflated tire, mounted to a wheel. Dimensions may vary due to rim width and inflation pressure. 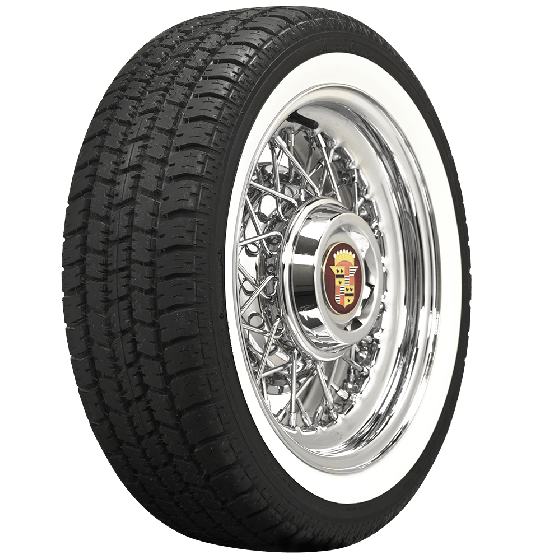 We do not currently carry an 18 inch, low profile whitewall tire, but if you would like, you may submit your request to support@coker.com and we will file your request and notify you if such a tire becomes available! I need coker tires to fit a 2001 Cadillac Deville DTS. I believe the original wheels are 17 inch on the cadillac. The factory tire size for the Cadillac Deville DTS was 235/55R17. We have the following options available: 235/55R17. The recommended replacement tire is the American Classic 235/55R17.